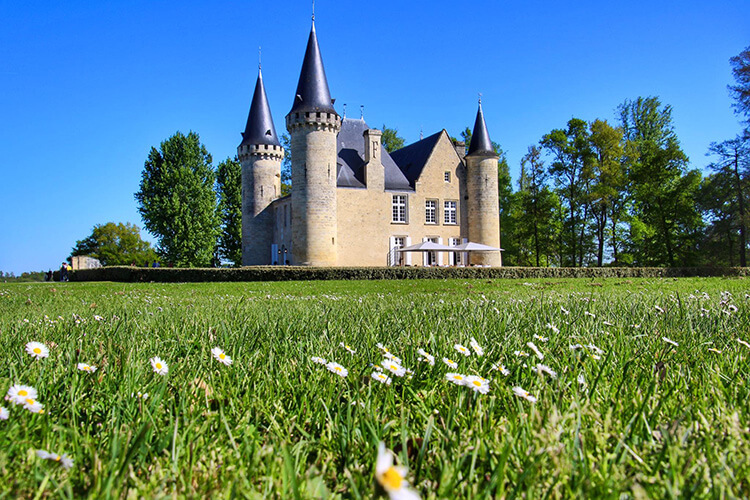 Just 15 minutes from Bordeaux, a castle surrounded by a moat is so picture-perfect it looks as though it was plucked from just about any Disney princess fairy tale and plopped in to the Médoc. That castle is Château d’Agassac, one of the oldest château in the Médoc. Not only is Château d’Agassac one of the prettiest château we’ve seen in the Médoc, it’s also pretty easily accessible by public transportation from Bordeaux center. Open to the public for guided visits seven days per week, which is pretty rare here in Bordeaux, and with an onsite restaurant loved by both tourists and locals, Château d’Agassac shouldn’t be missed. Though Château Pape Clement holds the title for the oldest documented vineyard in Bordeaux, the fortress itself at Château d’Agassac is older. A Latin inscription found in the the underground galleries dates the property back to 1238. What we don’t know is if the first document lord, Gaillard de Gassac, was also a wine lover as was Pope Clement V who lent his name to Château Pape Clement. Gaillard de Gassac was charged with protecting the city of Bordeaux from the French enemy, as at this time in history Bordeaux and its surroundings were under British rule. It’s probably safe to assume that, as this was also marshland at that time, there wouldn’t be vines on the property until later in its history. The château changed hands, as so many in this region have, and it was sold to the Pomies family in the 16th century. It’s certain that the Pomies family dried out the marshland and the first documented vineyard was planted. The family also added an upper level to the fortress, turning it in to a manor home, and made it accessible by adding the bridge across the moat. As happens more and more with the rising costs to upkeep châteaux and produce wine, Château d’Agassac changed ownership several more times before being bought by the insurance company, Groupama in 1996. 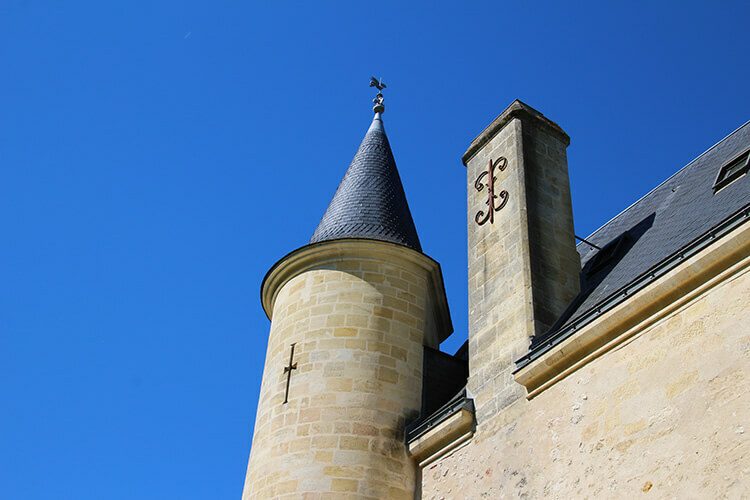 The company had the money to be able to restore the various structures on the estate, and in 2012 Château d’Agassac was awarded the status of “Monument Historique,” a designation given to some national heritage sites in France. The famous 1855 Classification of Grand Cru Classés had political motivations and many Médoc châteaux were left out. In 1932, the classification of Cru Bourgeois was created by the Bordeaux Chamber of Commerce and Chamber of Agriculture to be able to give a high quality wine classification to the châteaux left out of the 1855 classification. At the time of the 1932 Cru Bourgeois classification, 444 châteaux were included. Like the 1855 classification divided the châteaux by first through fifth growths, the 1932 Cru Bourgeois split the châteaux into categories of Cru Bourgeois Exceptionnel, Cru Bourgeois Supérieur and Cru Bourgeois. It was also decided that the classification would be re-evaluated every 12 years and châteaux would have to prove their quality in order to hold their Cru Bourgeois classification status. Château d’Agassac was awarded Cru Bourgeois Exceptionnel in that 1932 classification. By the 1960s, some 300 of the original 444 châteaux included in the classification had either been absorbed in to other estates or had given up viticulture. From 1994 – 1999, the Alliance that decided the classification became much stricter with only about half the estates applying being accepted into the Cru Bourgeois classification. In 2007, the entire classification was disbanded by a French court. They stated that the classification process was tainted by conflicts of interest and that the parties deciding weren’t impartial. Cru Bourgeois was re-instated in 2010, though now the classification is awarded annually. Cru Bourgeois Exceptionnel and Cru Bourgeois Supérieur are no longer used and Châteaux have to present their wines from each vintage individually to receive the Cru Bourgeois distinction. The visit starts at the pigeonnier (also called a dovecote), a freestanding structure found on a number of estates that was used to house doves or pigeons. The inside has hundreds of holes for the birds to nest, as pigneons and doves were an important food source for their eggs and meat. 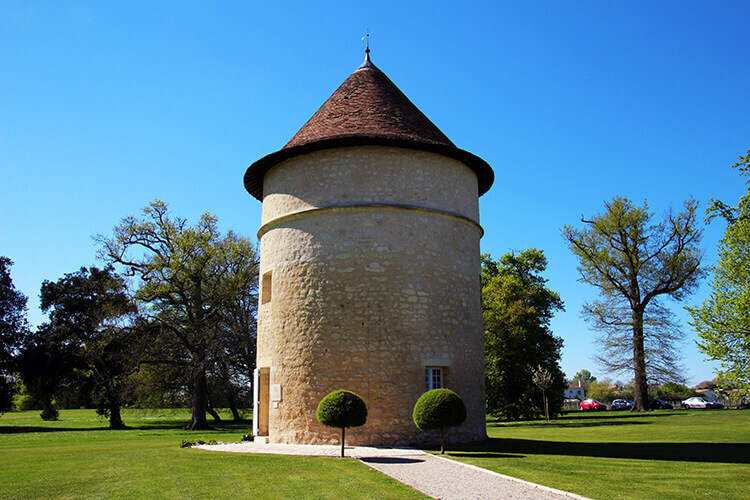 Château d’Agassac’s dovecote has 6oo holes, representative of their 600 acres of land at the time. Today, the estate has 43 hectares, or 106 acres, of vineyards. Next, the visit moves to the vineyard and we learned about the terroir of the Ludon-Médoc. The château has two gravely outcrops which are known as the Grand Terroir of the estate. 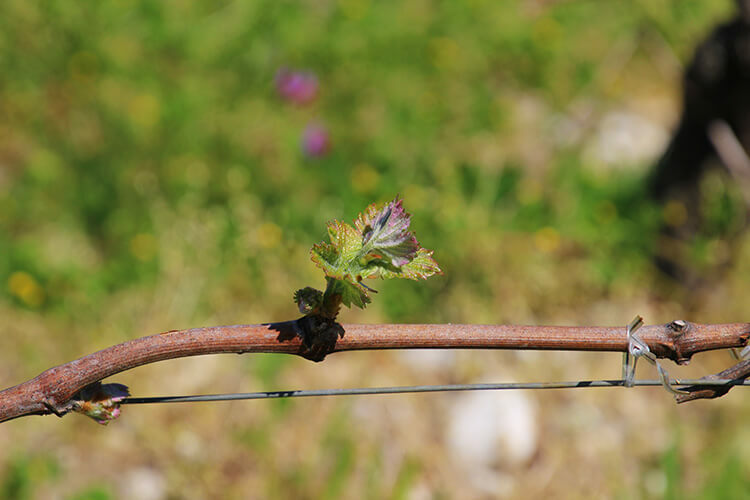 The gravely soil is ideal for draining of water and these two outcrops produce grapes that are notorious for ripening much earlier than the rest of the estate. 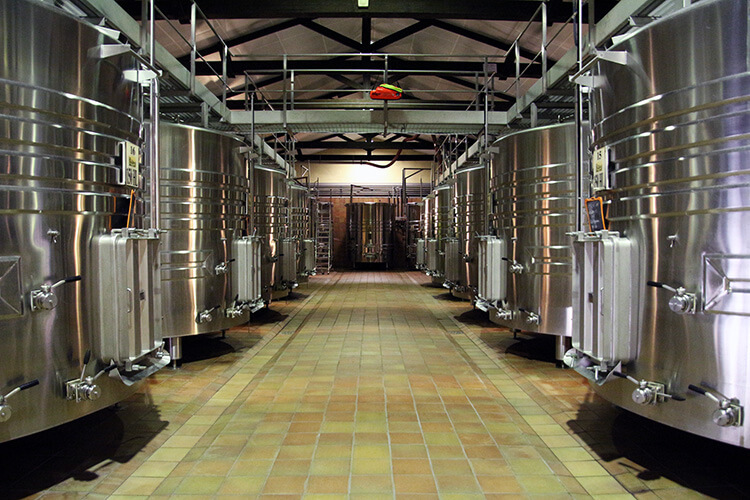 We move to the wine cellar, which is in the former sheepfold, and get an overview of the wine making process including a second sorting that happens here and the wine making and maceration in the temperature controlled stainless steel vats. Barrel rooms are always one of our favorite parts of a visit, because the smell is just incredible. 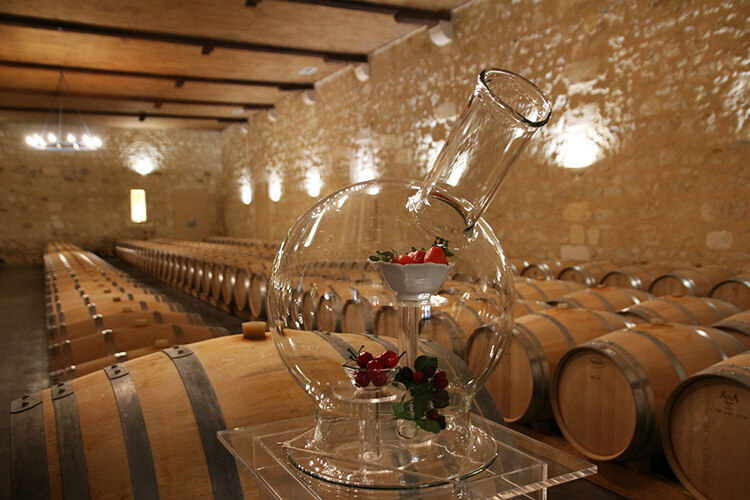 Château d’Agassac also has some glass cases here showcasing some of the aromas typically found in their wines. The visit ends back at the dovecot for a tasting and an opportunity to purchase some of their wines. One unique aspect of Château d’Agassac is La Table d’Agassac, a beautiful restaurant housed inside the château. 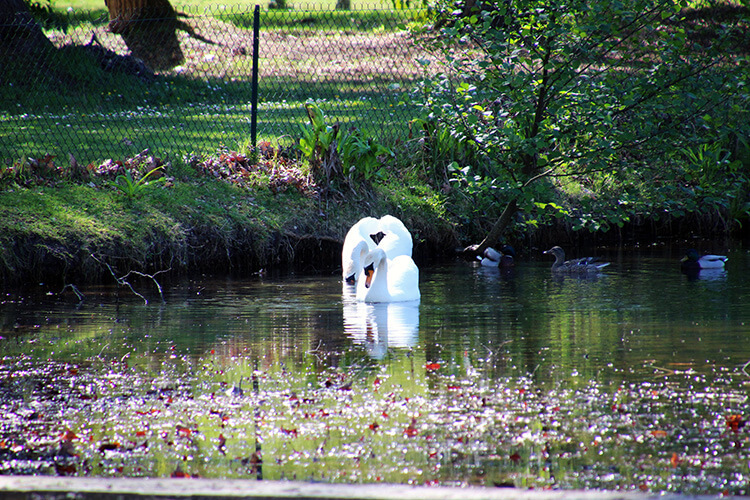 In nice weather, the terrace overlooks the moat with swans and ducks floating on the canal. You can book a very affordable gourmet meal with an amuse bouche, starter, main dish and dessert for €29 per person. Or you can select the menu with wine pairings for €44 per person. The wine pairing lunch starts off with a bit of bubbly and the amuse bouche. Our beetroot yogurt and avocado pastry was paired with a Moscato d’Asti from Italy. Up for a little guessing game with lunch? Our starter was a perfectly cooked piece of salmon that I’m still wondering how they got the skin so crispy that it sparkled gold. 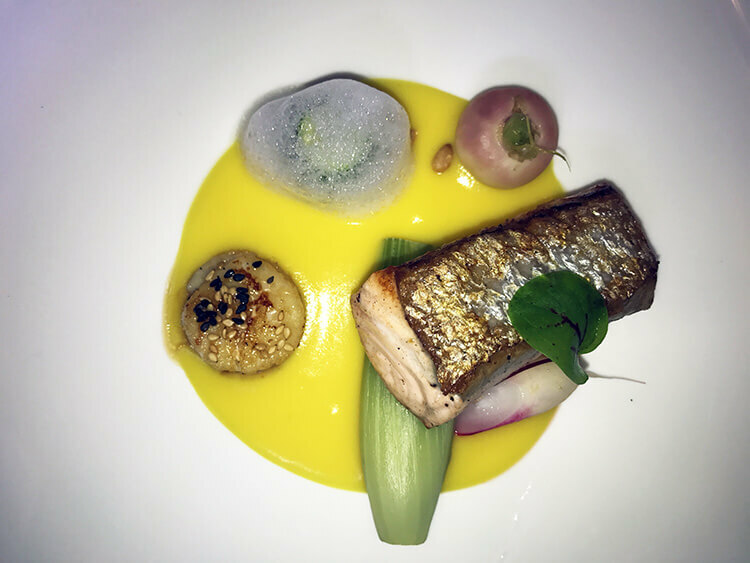 It was served with a scallop and some root vegetables. The starter is accompanied by a blind tasting. 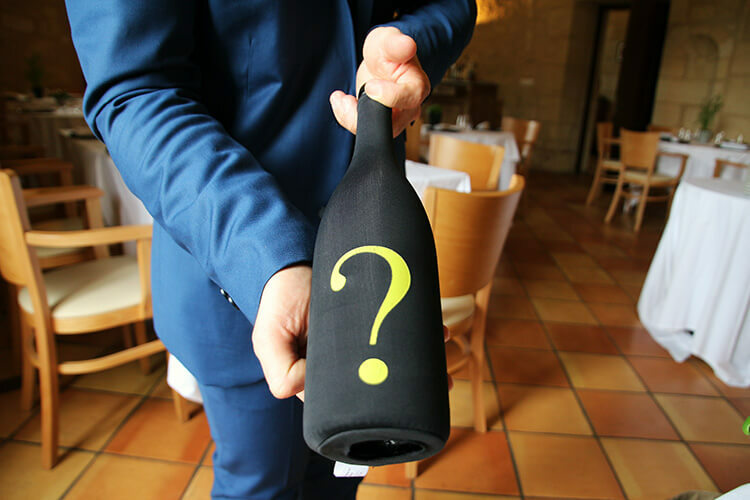 The bottle is covered in a black cloth, and though the wine is clearly a white, it’s hard to guess which wine region of France it might be from. If you know Bordeaux, you can quickly rule that out from the shape of the bottle. We sat sipping and guessing between bites of the delicious fish. I thought perhaps a Chardonnay, but it turned out to be a Chenin Blanc from the Loire Valley. So tender it fell apart beef followed as the main course. 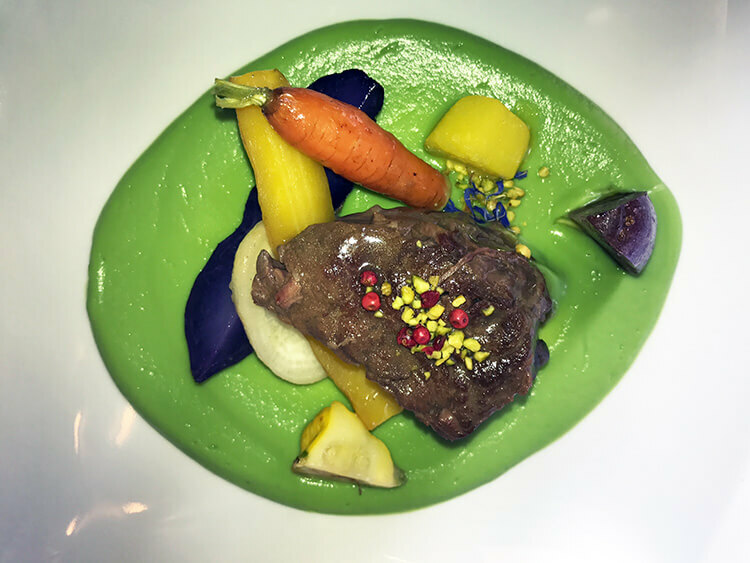 The beef sat on a bed of green been puree that was lush and flavorful with each bite of the meat. Of course, Château d’Agassac was paired with it though we were challenged to guess the vintage. We finished with cheesecake paired with Sauternes, a sweet wine from Bordeaux. 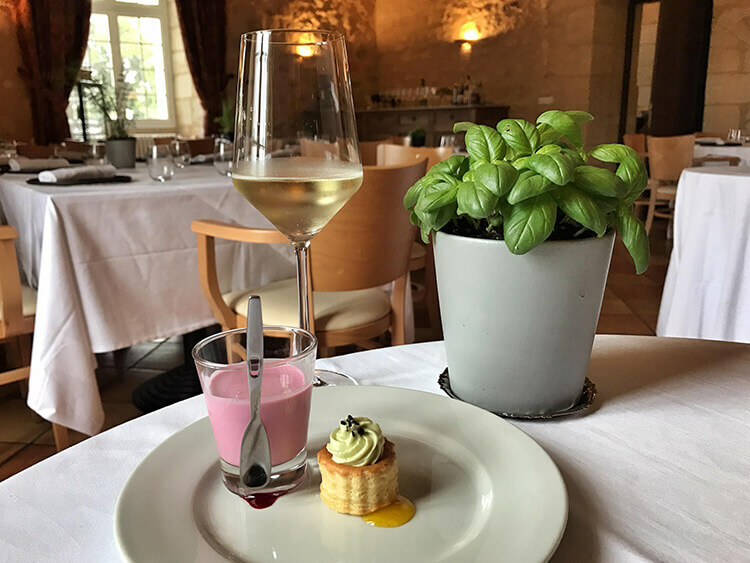 Each dish was as beautiful as delicious and the ambiance in such an elegant setting among the vines makes for a special day visiting Château d’Agassac. Château d’Agassac can be reached easily from Bordeaux center on public transportation. You can take tram Line C from Quinconces to the Gare de Blanquefort stop, which takes 26 minutes and runs every 10 minutes. You then change to bus Line 22 at Gare de Blanquefort and take the bus to the Villa stop, which takes 15 minutes and runs every 30 minutes. From Villa, you have a 1.5 kilometer walk to Château d’Agassac that takes around 20 minutes. It costs €1.50 each way on public transportation. Alternatively, you can take a vcub shared bike with you and bicycle to the château. vcub costs €1 for a 24 hour membership and €2 per hour for the rental. Château d’Agassac is open daily and visits are available in English and French. The tour and tasting lasts 45 minutes and costs €10 per person, which will be waived with the purchase of wine. Book your visit by sending a message on their online contact form. 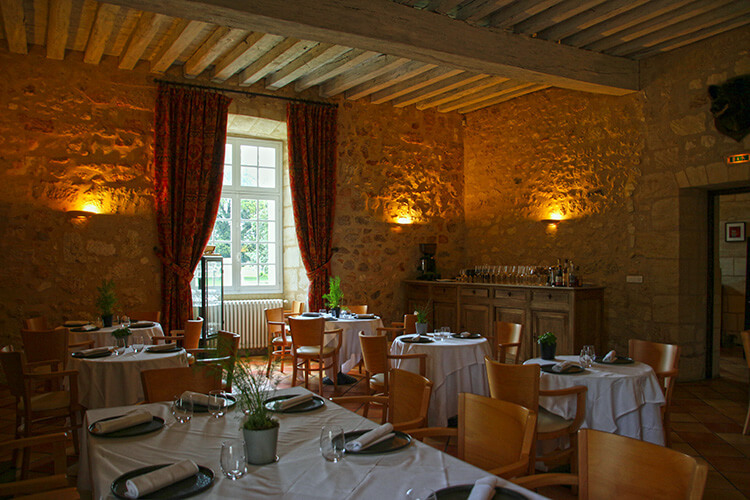 La Table d’Agassac is open daily for lunch from 12:30pm – 2pm and Monday – Saturday for dinner from 7pm – 10pm. They also host wine dinner events throughout the year. Book your table by emailing [email protected]. Our visit and lunch were provided by Château d’Agassac in order to bring you this story. 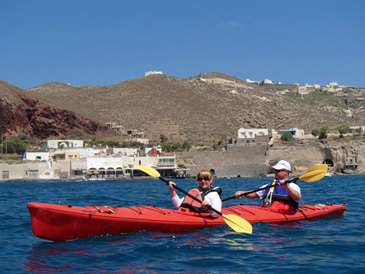 However, Luxe Adventure Traveler maintains full editorial control of the content published on this site. As always, all thoughts, opinions, and enthusiasm for travel are entirely our own. This article contains affiliate links. When you book on Booking.com through our affiliate site, we earn a small commission at no additional cost to you. Stunning photos and that looks like an absolutely terrific tour–and loved that they blind tasted you! The blind tasting was unexpected with a lunch and fun! What a fascinating history and your lunch looked spectacular. I love the mystery pairing! The lunch was excellent and such great value for a gourmet meal in a setting like this. I love the descriptive history of this place. And great use of those fabulous pictures. Loved the article. What a beautiful place. I love wine tours and wine tastings, but strangely have never done them in Bordeaux! Time to rectify that I think! Bordeaux is sounding more and more appealing based on your posts! I’ve been to a couple of winery tours in Spain and I loved it. 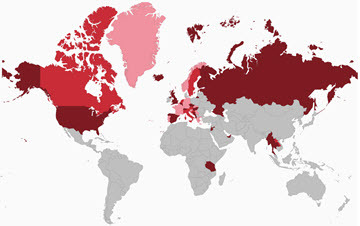 I’m sure I would love to visit here too, given its location. And that salmon is to die for! Delicious! I’m a chateau fiend. I toured the Loire Valley in December and am still blown over by the beauty and history. I never got to eat at one, though, so sign me up for La Table d’Agassac. With the wine! I didn’t know anything about chateaux in Bordeaux so thanks for the great travel tips. This makes me remember our trip to Bordeaux! THat castle was so nice actually and I love the wine from that region. Chateau d’Agassac looks so gorgeous, just like out of a Disney Princess fairy tale. It would be wonderful to enjoy the wine over a meal there. It sounds so picturesque with the swans and ducks in the canal. The food looks really delicious too. And what fun would have the blind tasting over lunch been! I love castles. I\’m not a huge fan of wine though I do love ice wine and I love wineries. What is really awesome for me would be the cooking class! I would love to do that!!! Bordeaux is so high on my to go to list!!! I love how affordable it all is! The tour and lunch seem like they could cost a lot more, especially with how delicious the food looked! With such a picturesque setting, I will definitely try to visit the chateau if I’m in the area. It was nice to meet and chat on our Viking Cruise – and we’ve found your site to be a useful trip for our upcoming trip to France – both for Bordeaux and Toullouse – as we cycle the canals to Sete later this month. We were looking for a winery to have lunch (on August 22nd) – so loved your description of Chateau d’Aggasac, which seemed like the perfect spot. However, the restaurant is closed for the summer. Might you have another suggestion where we can combine a visit to a winery or two with lunch? Hope you’re both doing well! I’ll be around and it would be lovely to meet up for a glass of wine or something. As for lunch, there’s only about 10 châteaux total that have on site restaurants. Unfortunately Agassac is doing a renovation of their restaurant this summer. If you want to stay on the Left Bank, Château Lynch-Bages has Café Lavinal in their Bages village and it’s very good. On the Right Bank, Château la Dominique has Terrasse Rouge which is also very nice.